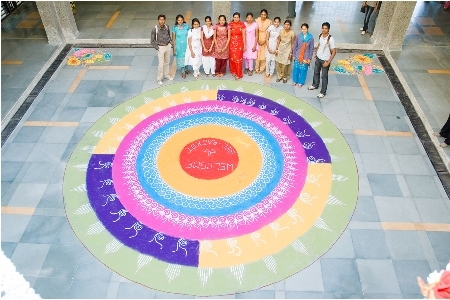 Government Engineering College, Rajkot (GEC) was established in 2004. With the vision to provide excellence in technical education, meet the growing demands of industries in the future and benefit the society as a whole. Government Engineering College, Rajkot is a Government institution affiliated to Saurashtra University and recognized by All India Council for Technical Education (AICTE), New Delhi and the Government of Gujarat, and became the first ever Government College in RAJKOT (Gujarat) to have been granted this status. At Present the Institute is offering Graduate programmes in 3 fields of engineering. The foundation stone of the college was laid on the 28/07/2006 by Shri Anandiben Patel (Education Minister of Gujarat). 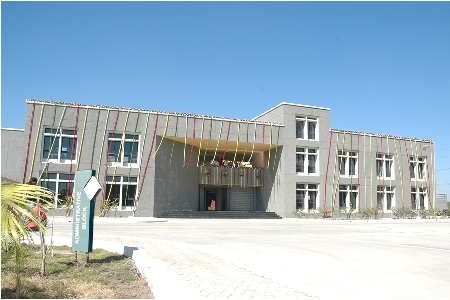 Government Engineering College is currently using the campus of the A. V. Parekh polytechnic Institue of Techology and the new building is constructed at Mavdi - kankat Road, Near Hanuman Temple, Rajkot. Institute of Technology emphasizes on all round development of its students. It aims at not only producing good professionals, but also good and worthy citizens of a great country aiding in its overall progress and development. To treat every student as an individual, to recognize his/her potential and to ensure that he/she receives the best preparation and training to help one meet one's career ambitions and life goals. Keeping in mind out strong cultural heritage, in addition to imparting sound professional skills, we believe in developing in out students an all round personality. Among the list of companies recruiting the students many global industrial names are there some of them are IBM, Hewlett Packard, SAP, Oracle, TCS, Honeywell and WIPRO.